Ready to get in the holiday spirit? 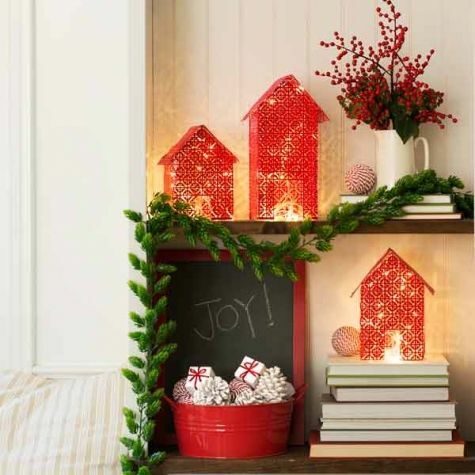 Although going tiny means minimizing your material items, there are always ways to bring touches of Christmas into your tiny home without going overboard. 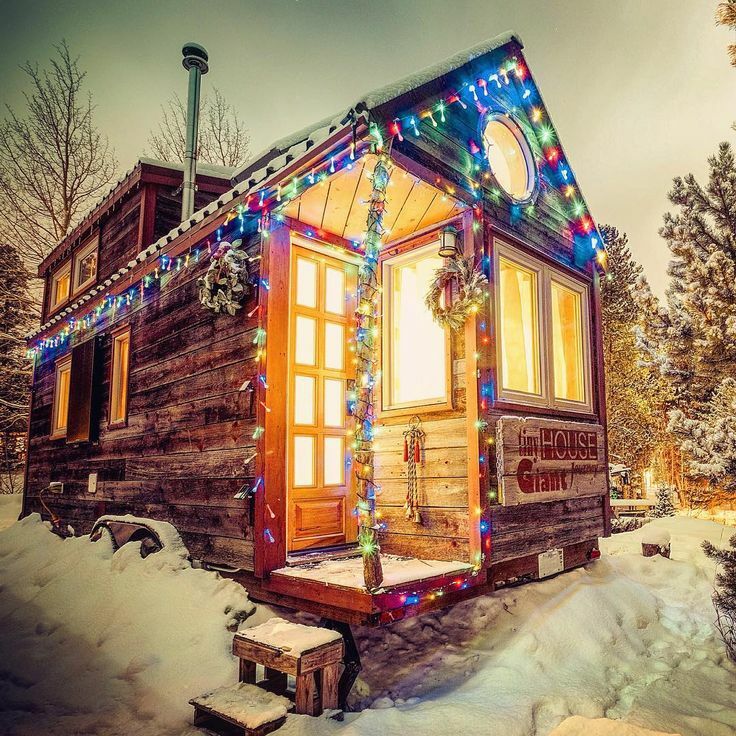 Here are some creative and beautifully decorated tiny houses that may be small, but found a way to decorate a small space in a large way that encompasses the Christmas spirit. From the exterior, this tiny house from Tiny House Giant Journey made a statement with the twinkling Christmas lights hung around the tiny house and framed the porch giving it a magical feel. In addition, there is an adorable small wreath hung from the top corner of one window which is a great way to decorate your tiny house without overwhelming it with decor. This winter wonder tiny house might be hard to spot in the snow, but when lit up, it is definitely a sight to see! This tiny house was decorated by My Shabby Streamside Studio With some white lights framing the front door, this tiny house looks ready for the holidays The festive bright red bows hung on each pillar nicely frames this tiny house’s porch and the green garlands draped around the tiny house also adds a nice pop of color. 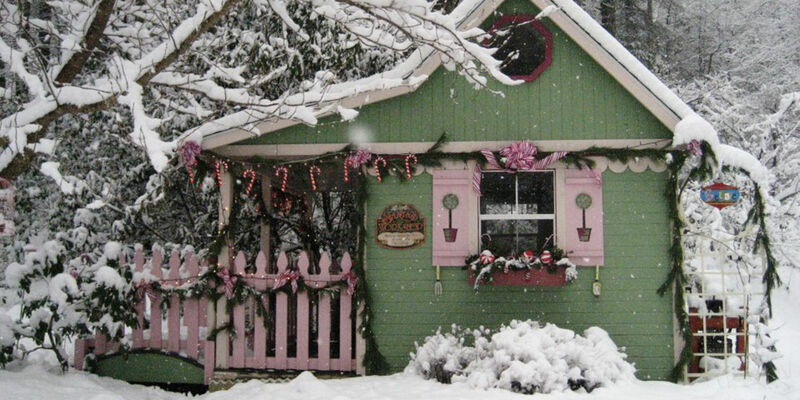 A cute tiny cottage in the woods all decked out in candy canes might just be mistaken for Santa’s workshop! Created by Sit With Me In My Garden, this tiny house is already the perfect holiday green and the pink trim with the red candy canes really brings out the holiday cheer. The simple evergreen garlands that are hung from the sides of the house and carry to the porch fence is a great way to add a bit of that festive feel. This subtly decorated tiny house still has that Christmas feel without going too overboard. From the wrapped poles on the porch deck to the cute giant peppermints that are hung from the porch doors, this tiny house is the perfect way to get your tiny house festive this year. This tiny house was decorated by The Big Mini Life and is the perfect example of how to bring the holiday spirit to tiny living.